One of the most helpful things for me every day is a book I have called, “The Universe: 365 Days“. It comes from the website, “Astronomy Picture of the Day“. 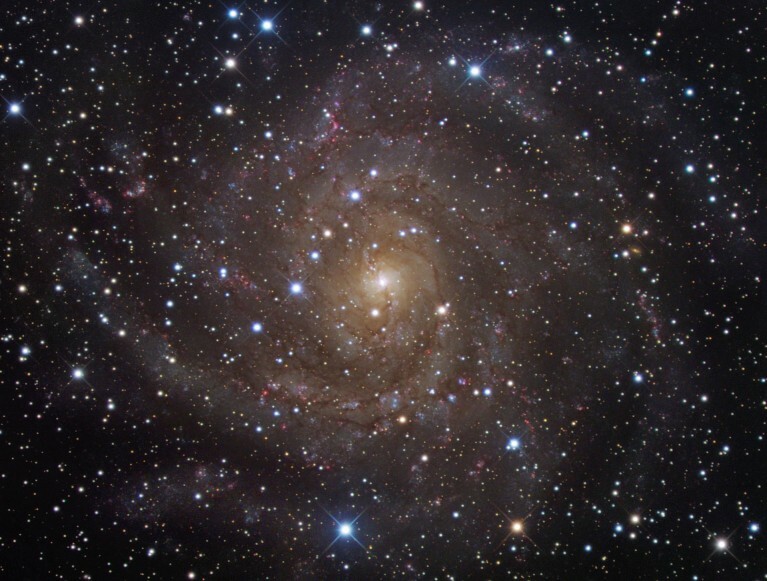 Pictured here is Hidden Galaxy IC 342. All you gotta do is travel at the speed of light for about 7 million years and you can experience this little wonder of creation. Posted in OldStuff and tagged creation, God, worship.